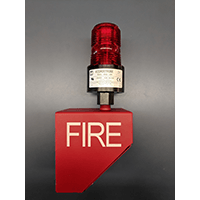 Plate dimensions are 4 3/4" x 4 3/4"
The FP5 4 3/4” square fire plate is designed to provide quick visual identification of field wiring for the Fire and Life Safety industry. 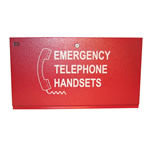 This sturdy cover plate is fabricated of 18 gauge steel with a powder coated red finish. 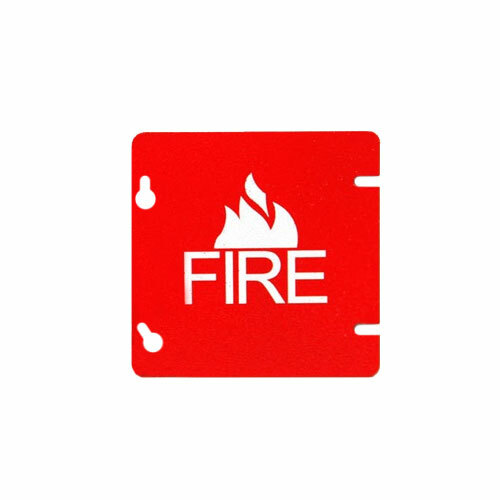 The nationally recognized NFPA fire symbol has been screened on the front with indelible white ink. 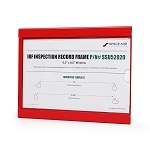 Screw eyelets have been added for ease of installation and maintenance. 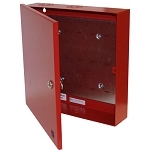 The FP4 fire plate is designed to be mounted on any 4” box configuration. 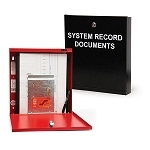 Address label on reverse side for field identification. 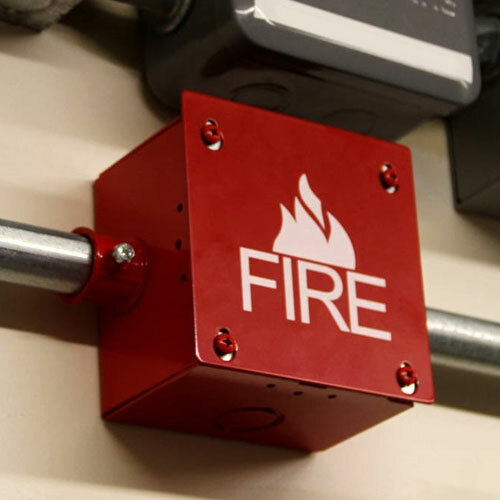 The FP5 4-3/4 inch square fire plate is designed to provide quick visual identification of field wiring for the Fire and Life Safety industry. 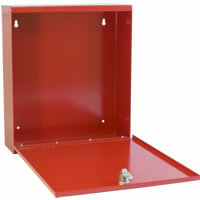 This sturdy cover plate is fabricated of 18 gauge steel with a powder coated red finish.